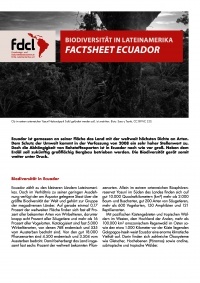 The FDCL has always been closely linked to the monthly journal „Lateinamerika Nachrichten“ (Latin America News (LN)). The shared history of LN and the FDCL began in 1973. Back then, the left-wing political project of the Chilean governing coalition Unidad Popular was observed with interest in Germany. The democratically elected socialist government of Salvador Allende and its bloody ending by the military coup on 11 September of 1973 led to the emergence of a large solidarity movement. LN came into being during the summer of 1973, a few weeks before the Pinochet coup. The journal’s initial name was “Chile Nachrichten” (“Chile News”) and it served as a means of information and communication for people interested and involved with the Chilean political situation. The FDCL was founded in autumn of 1974 by people from the “Chile-Komitee” in order to archive the flood of incoming materials. Given the enormous demand for information concerning the political developments in other Latin American countries and the Caribbean, in summer of 1977 the Chile-Nachrichten were renamed “Lateinamerika Nachrichten” (“Latin America News”). In these first years the journal reached a monthly circulation of up to 8000 copies. 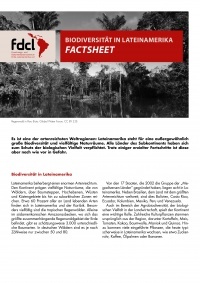 The FDCL and its archive grew quickly to become one of West Germany’s most important Latin America solidarity projects. The organisation grew beyond Berlin into a political information and communication centre, where those interested in Latin America could find information or become involved with certain issues. 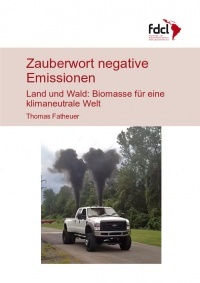 Research about and documentation of the situation in Latin America were not driven by scientific research objectives but were done with the aim of creating an alternative in Germany to the reports in the big mainstream media and a counterweight to prevailing policy. The objective was to highlight the co-responsibility of German companies and the German government for the situation in Latin America and to give people a voice that were fighting for a change in the political and economic situation in Latin America. A central reference point in the activities of LN and the FDCL in the 1970s and 1980s was the struggle against the Latin American military dictatorships and the practice of direct solidarity with people affected by state repression. The revolutionary movements in Central America, the end of military dictatorships and the transition to democratically elected governments in many countries of the subcontinent, as well as the beginning of the debt crisis in Latin America were also important focal points. During these years, LN and the FDCL published special editions and books on sensitive topics, such as “Fußball und Folter – Argentinien WM ‘78″ („Football and Torture. The 1978 World Cup in Argentina“) or the nuclear deals between West Germany and Brazil and Argentina. Event series, like the Latin America Days, organised between 1980 and 1991, or the campaign opposing the 500-year anniversary celebrations during the so-called “Columbus Year”, 1992, attracted lots of people from far beyond Berlin. Until the 1990s, the FDCL’s history remained closely linked with the ups and downs of the solidarity movement in Latin America. The fall of the Berlin Wall, the defeat of the Sandinistas in Nicaragua in 1990, the success of the neoliberal market ideology and corresponding policies in Latin America, to name a few key developments, led to a much-discussed crisis of paradigm and orientation, and signs of disintegration within the international solidarity movement. The FDCL was not unaffected by this crisis and the associated search for a better way forward. The organisation’s financial situation also worsened. But the FDCL went on. A lot has happened since that historical break. The 1994 uprising of the Zapatista Guerrilla movement in Mexican Chiapas is generally considered as the start of a new international anti-globalisation movement. 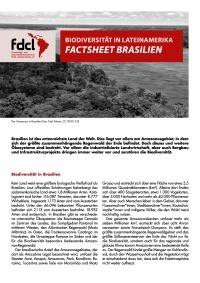 Over the years the movement’s broad agenda, many new topics and debates, of course as well regarding new developments in Latin America has been taken up by the FDCL. While more than 40 years have now passed since the organisation was founded, the FDCL’s basic interest has not changed. Given ongoing injustices, we stand in solidarity with movements and people in Latin America who fight against unjust circumstances and work for a different, better world. Through exchange between Latin America and Germany, we want to continue to ask critical questions and carry out political work. So, for the coming years, it remains clear: “Preguntando caminamos“!